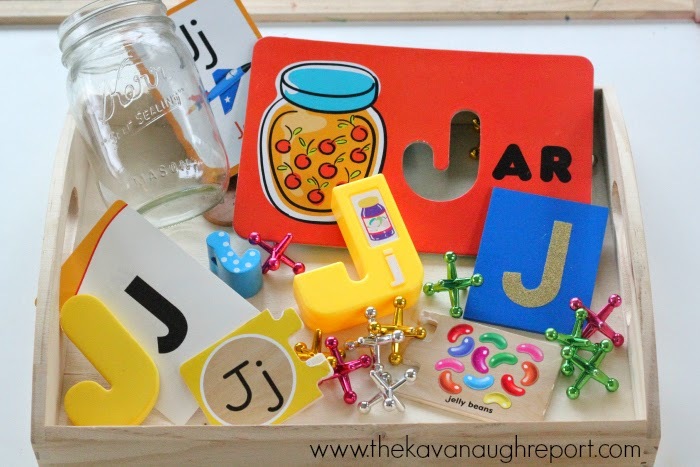 Letter J was another success at Montessori tot school! Henry was very interested in the trays this week and I was pleasantly surprised by the amount of time we spent at tot school. 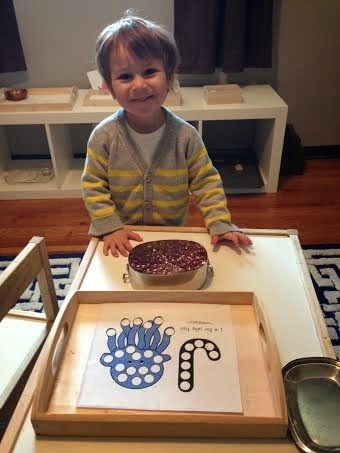 In particular, Henry finally wanted to use the sandpaper letters and salt tray a ton this week. You can see a video of him in action here. 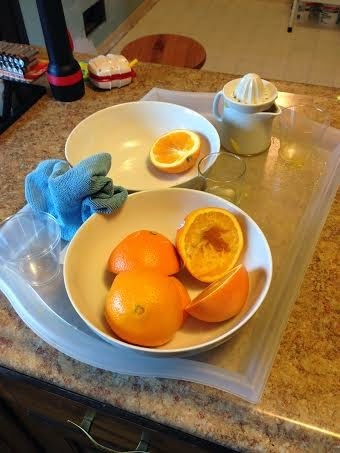 On our first tray was orange juicing. We only used this tray during co-op, but it gave all the children the opportunity to juice. The hand juicer requires a lot of strength from the children, but they always think the reward is worth it! I think they juiced every single orange I put out. 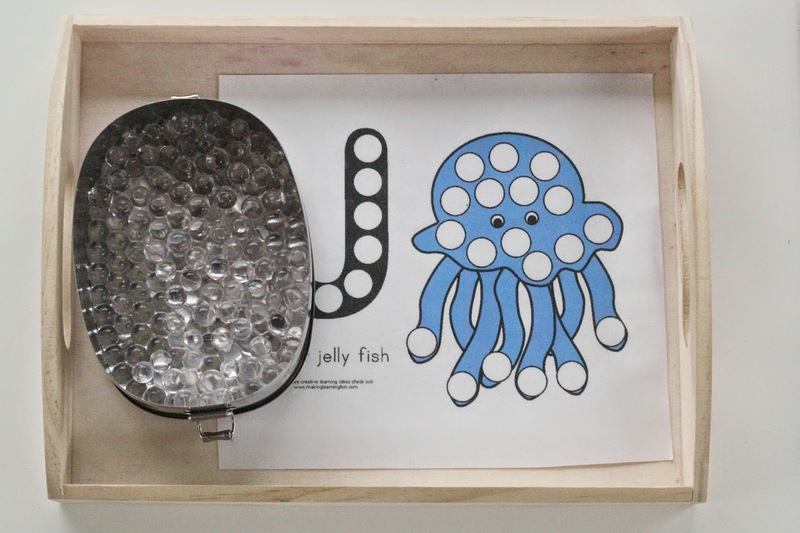 The second tray was a repeat from our first letter j tot school -- water beads and the jellyfish sheet. 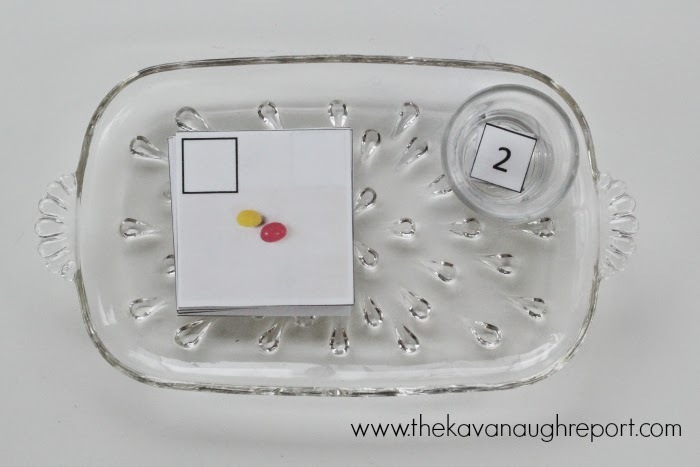 Water beads are always a huge hit, and this tray was no exception. It requires a great amount of concentration to get the beads to stay in place. 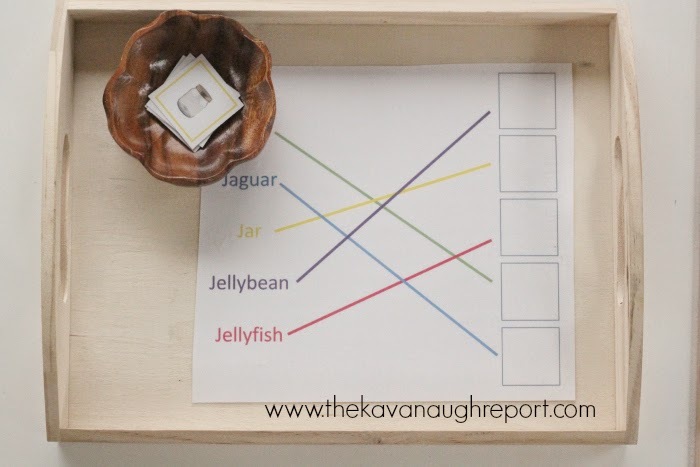 The third tray was a j-word matching sheet. On this sheet, I had a bunch of j-words with lines to smaller boxes. Then, I included pictures of each of the objects. 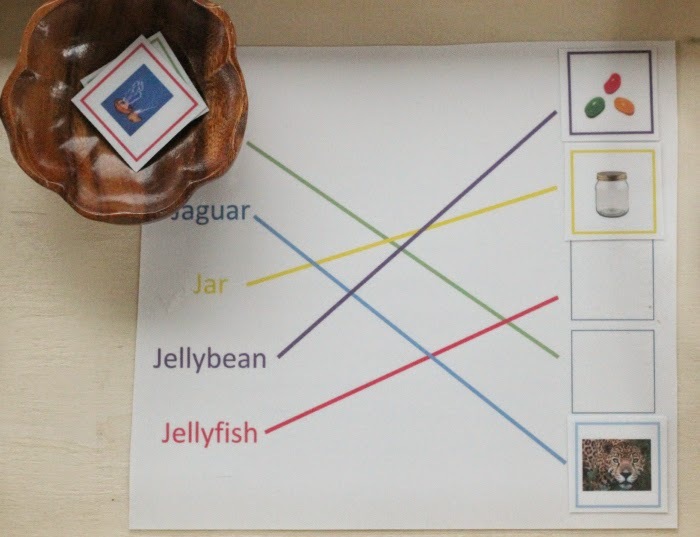 The kids could then follow the lines to match the picture to the word. I made them color coordinating to keep it self-correcting. Henry really enjoyed this. By not having the boxes horizontal from the word, it made the matching just a little more interesting for him. Jellybean counting: Matching numbers to the number of jellybeans in a picture. 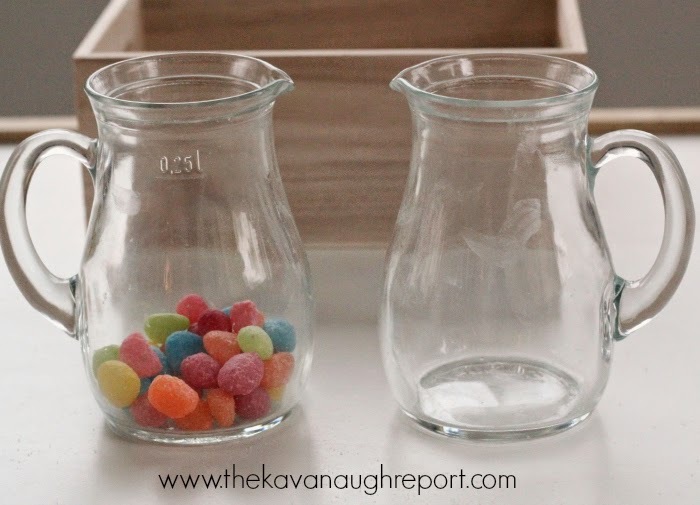 This was difficult after about number 5 since the jellybeans are so similar looking. 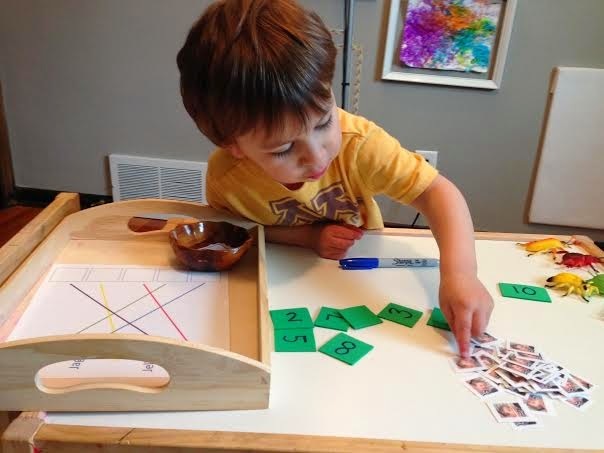 J-friend counting: One of the boys in co-op had his special week this week and he happens to love counting. 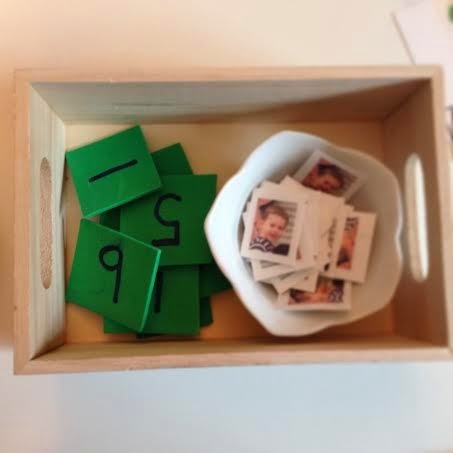 So I made a set of foam numbers, then printed small pictures of the boy as counters. I think it was a hit for him!